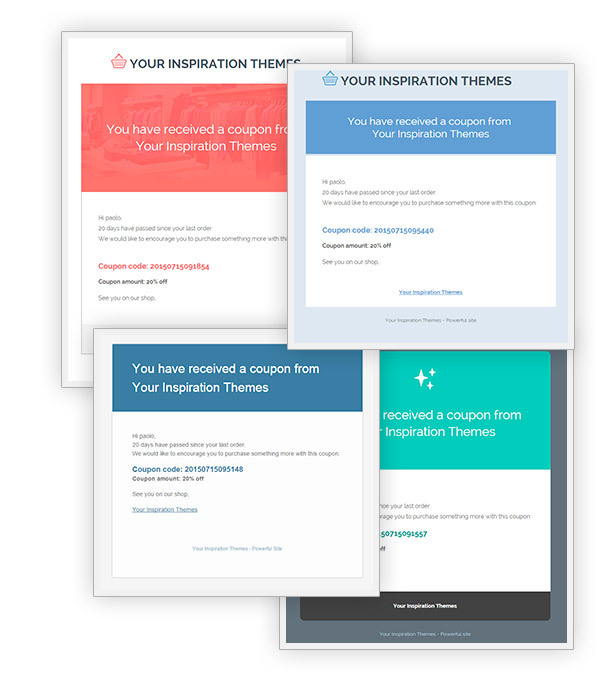 YITH WooCommerce Coupon Email System Premium Extension: offers an automatic way to send a coupon to your users according to specific events or occasions (e.g. 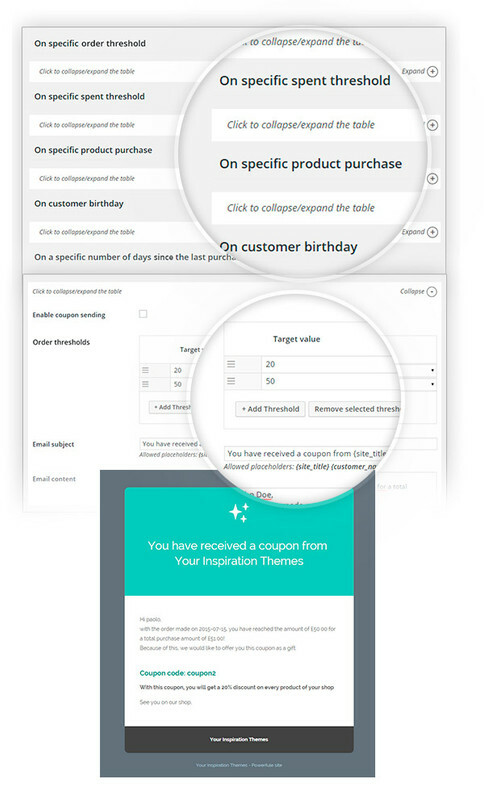 coupon with a discount for the birthday of one of your customers or create coupons for customers that did not make a purchase within the last x days). 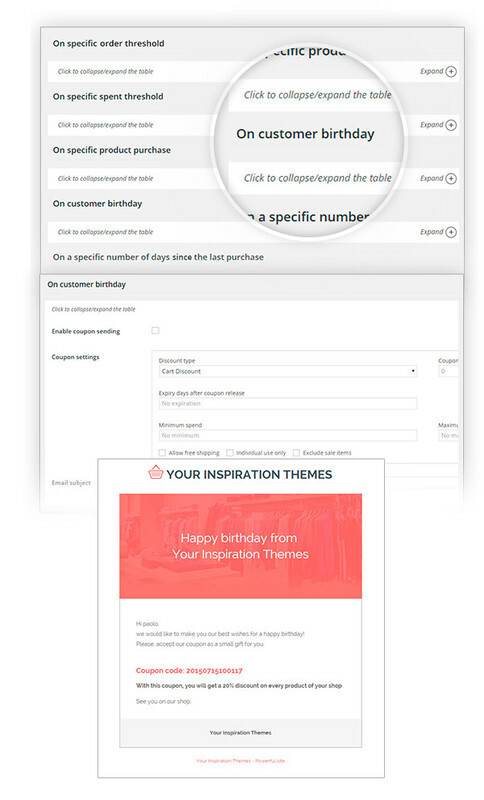 And again, you can encourage the registration of new users, or support the purchase of a certain products; the possibilities are staggering, just like the results you can get in conversions and sales.